Today was possibly the wettest ever, Yesterday the Mayans predicted the World will end……Fire balls from the sky! this might have happened had it not been for the biblical rain we experienced today. This Blog has been particularly slack recently but getting motivated to stand in the rain day after day catching the same species becomes a bit hard to write about. 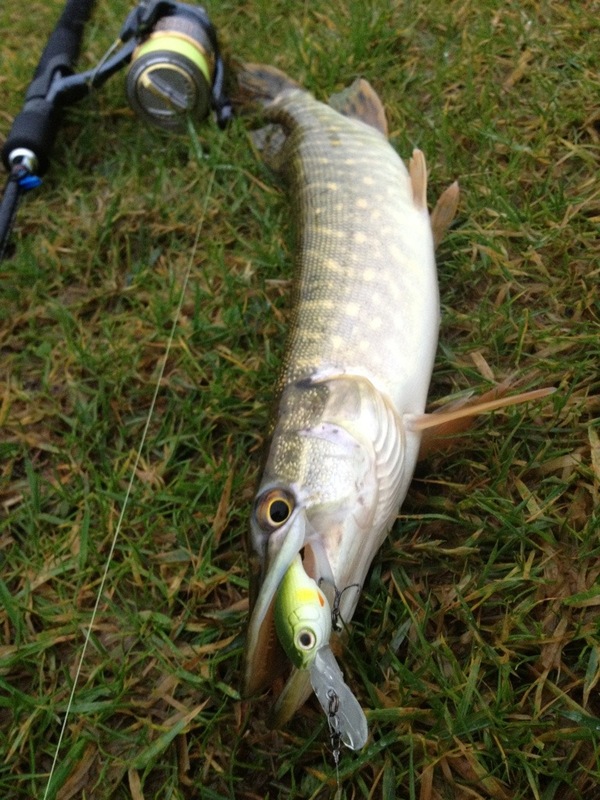 I am pleased to report on my first and second ever Pike today!!! only wee jacks but I’m proud non the less. Trout was to be my main target but I’ll settle for pike any day of the week. 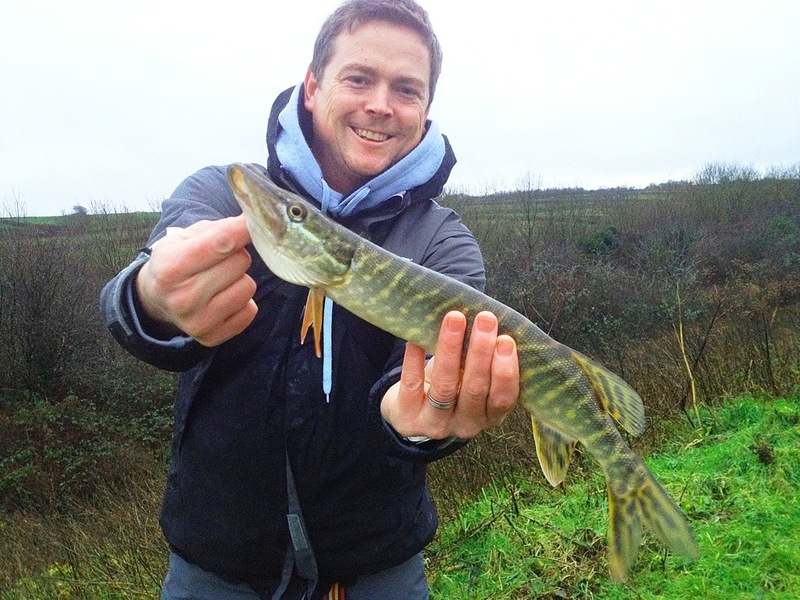 I look forward to targeting these rather addictive fish with with the correct balanced tackle. Below is a current list of the equipment I use for my LRF. Plymouth has a many different marks, although not really necessary I like to have a rod suited to the conditions. I know what your thinking I’m a “tackle tart” yes I cant argue but could I say I’m a collector?? Tict 710 inbite 0.9 – 12g. tube tip a great all round rod for the UK. Megabass Shore Luck 7’4 SLX 0.8 -9g tube tip short handle, one hand casting. 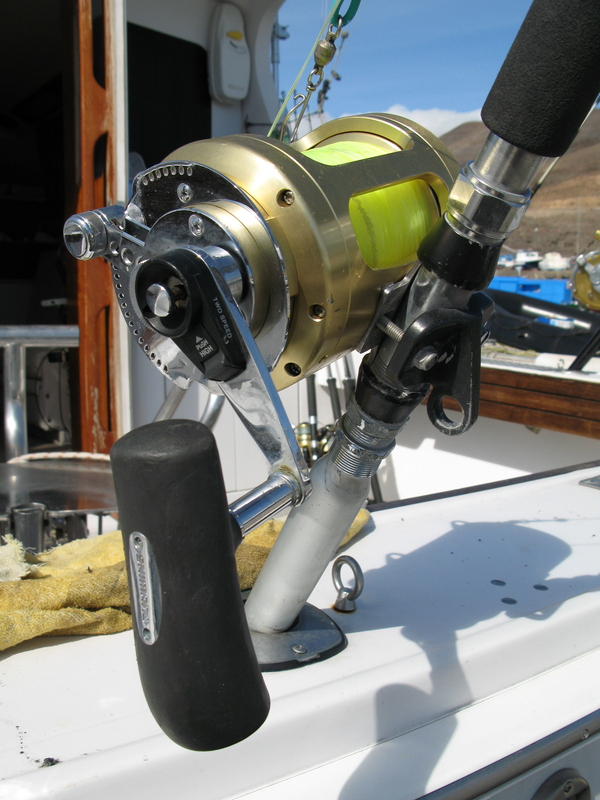 beautiful rod but not as sensitive as the my other rods. 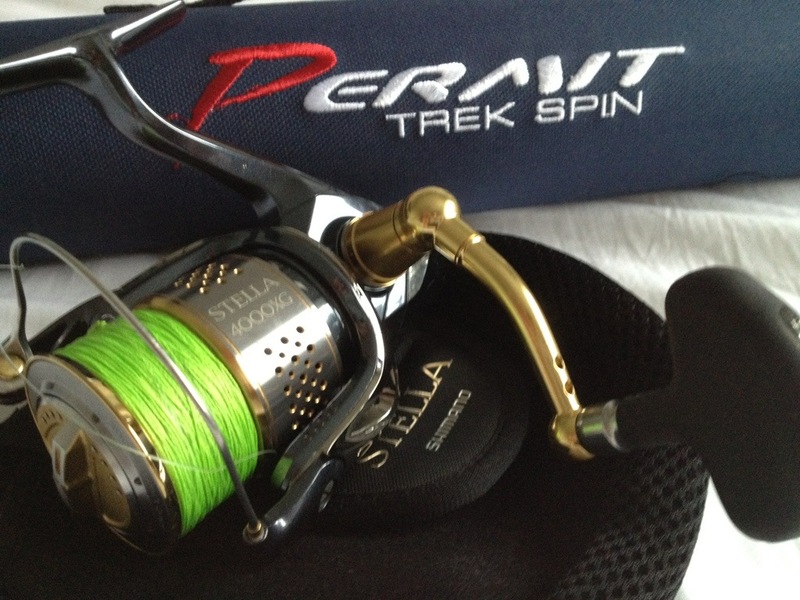 Shimano Stella 2500fe with spare spool favourite reel. Anything 2 inches or less. So I like a holiday, especially if it has been planned around a bit of fishing. The trip to Cyprus was booked a week before we went so I had very little time to swat up on the area of Paphos . As it turned out I went to an aqua desert!!! beautiful clear waters, amazing reefs but no fish. It was a family holiday so I had no intentions of going out deep sea fishing but we did manage to get on a glass bottom boat. We floated over a spanish wreck but I only spotted about three fish about the size of our smelt??? 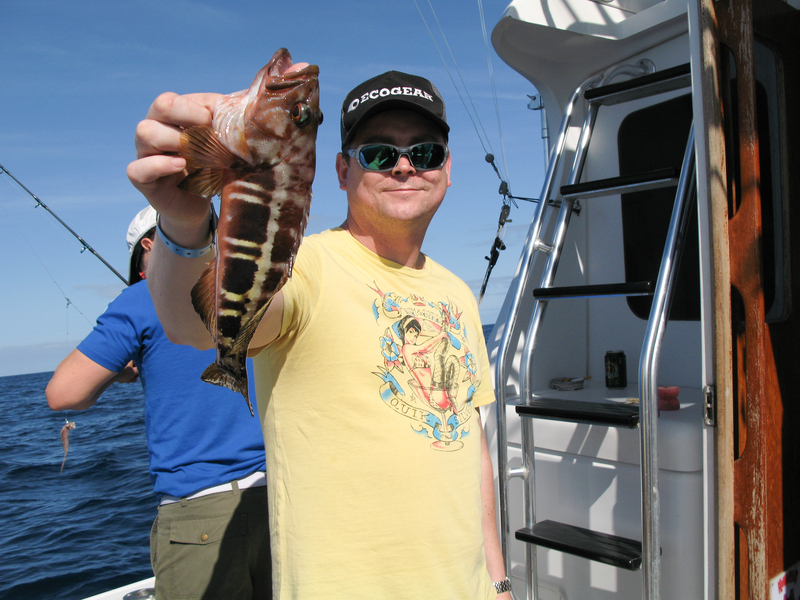 Later we stopped near a reef so I took the opportunity to pull out my Graphiteleader compatto travel rod, handy ehh! 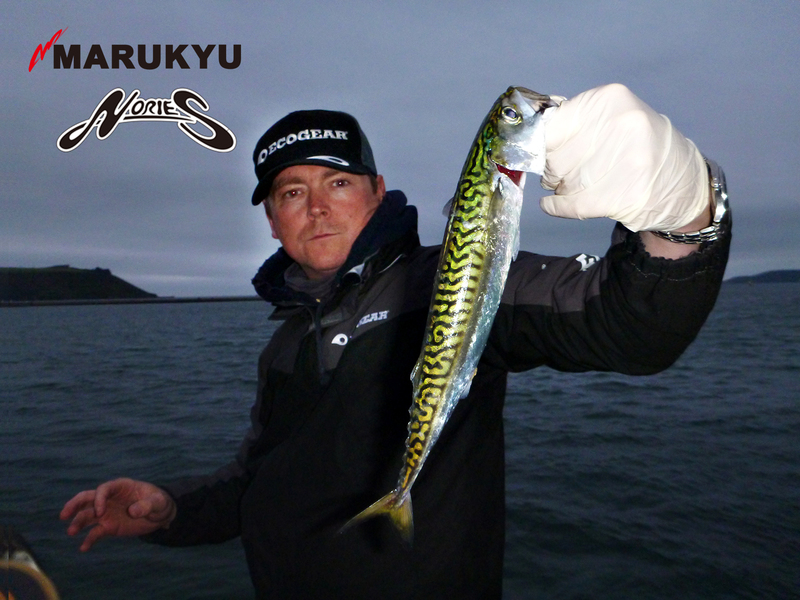 I managed about four wee fish no pics but they kind of looked like a smelt in colour but had more of a bronto/ dorado shape, only much smaller…… a size 10 fine shirasu ecogear jighead 2.5g with added split shot just to get down, loaded up with a green aquagear strawtail grub. 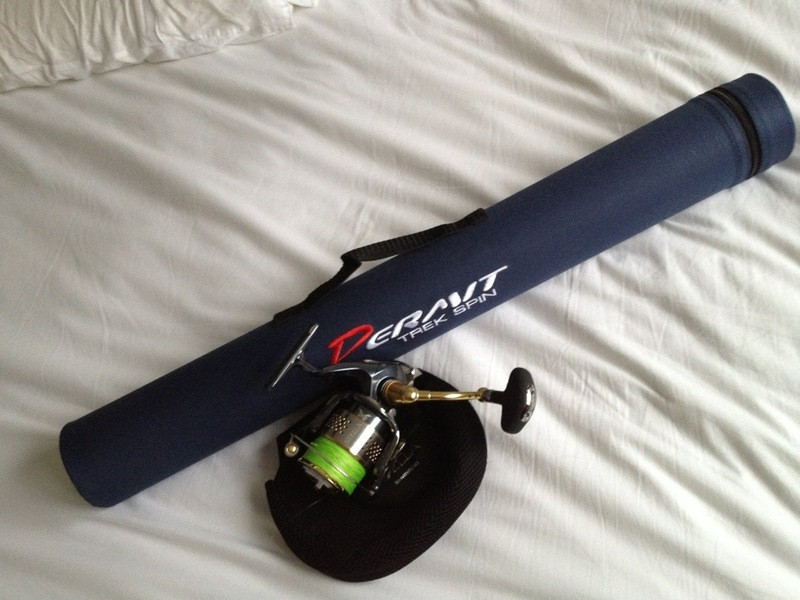 Slightly disheartened I decided to put the five piece rod together again for a few hours before returning the wet UK. 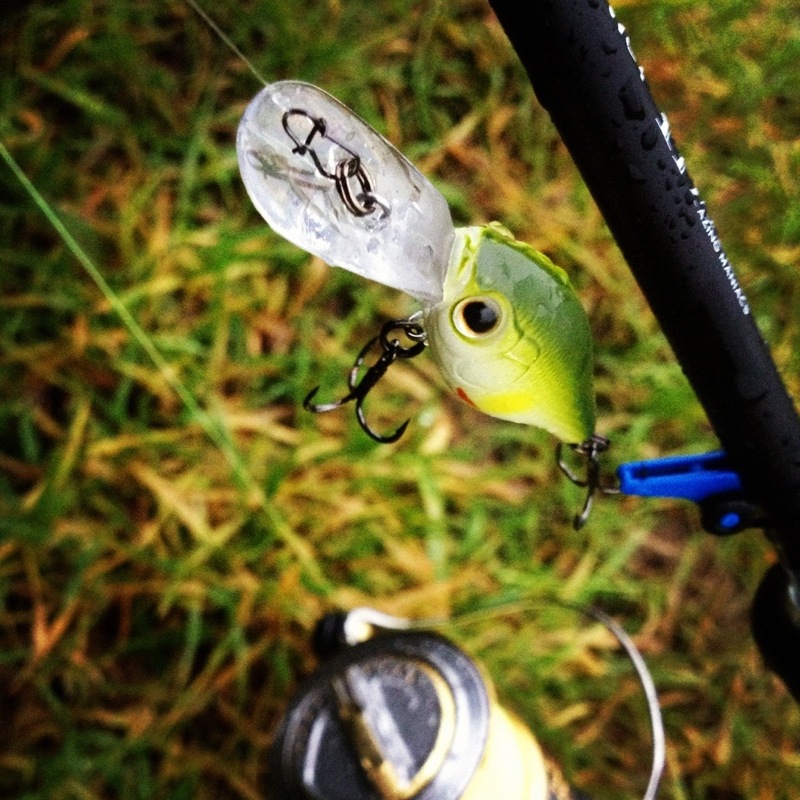 using the same egogear jig head with a tiny peice of power isome in pink I managed a few tiny black bream………….. I found out later the fresh water fishing is fantastic in a near by dam with Zander & largemouth bass on the list but like I said earlier this was a family holiday….. Look how messed up the jig head is from all the attacks from the wee bream. 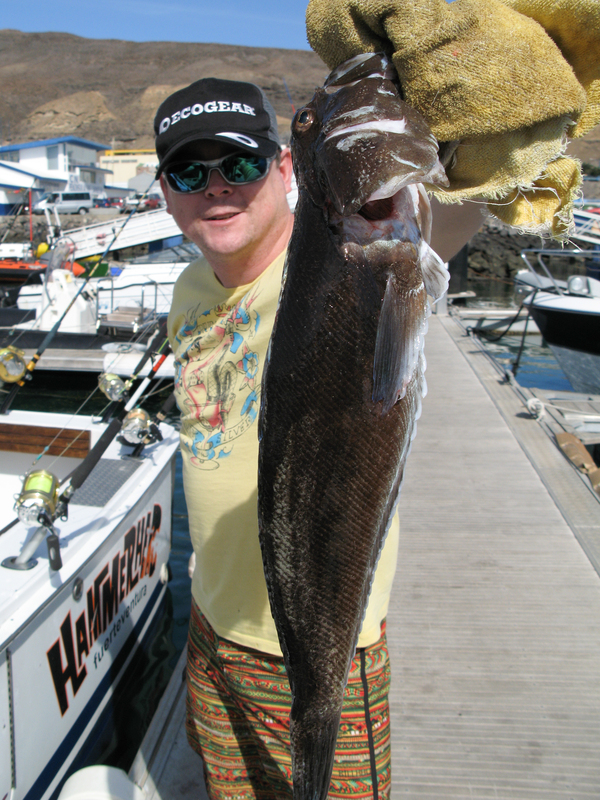 LRF in Cyprus, if you are thinking about a fishing holiday in Paphos Cyprus I would urge you to think again unless you plan to go deepsea fishing or fancy a bit of fresh water on the near by dams. I never really have time to sit and watch TV but I did enjoy this short Video. 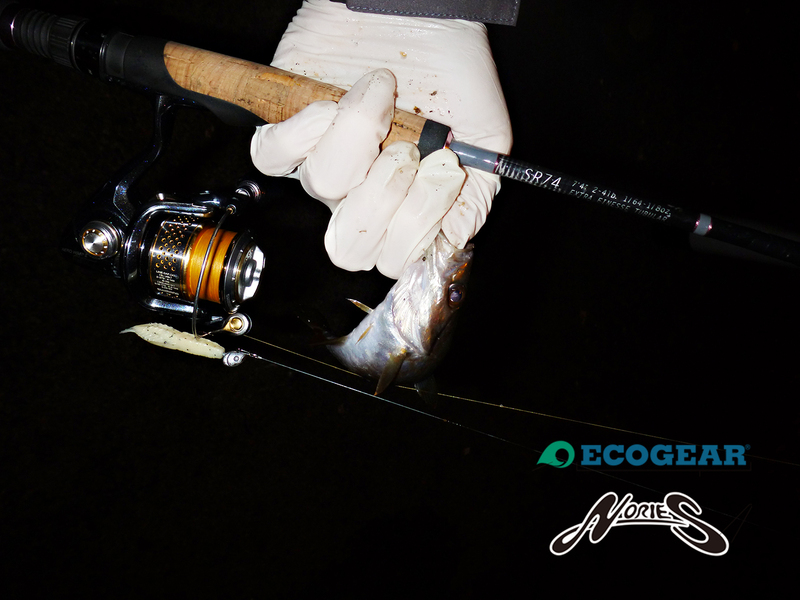 Featuring Norio Tanabe using a baitcasting rod and a spinning outfit. I had been having problems landing cuttle fish recently, I went into the Art of fishing to get me a slightly heaver Squid Jig. 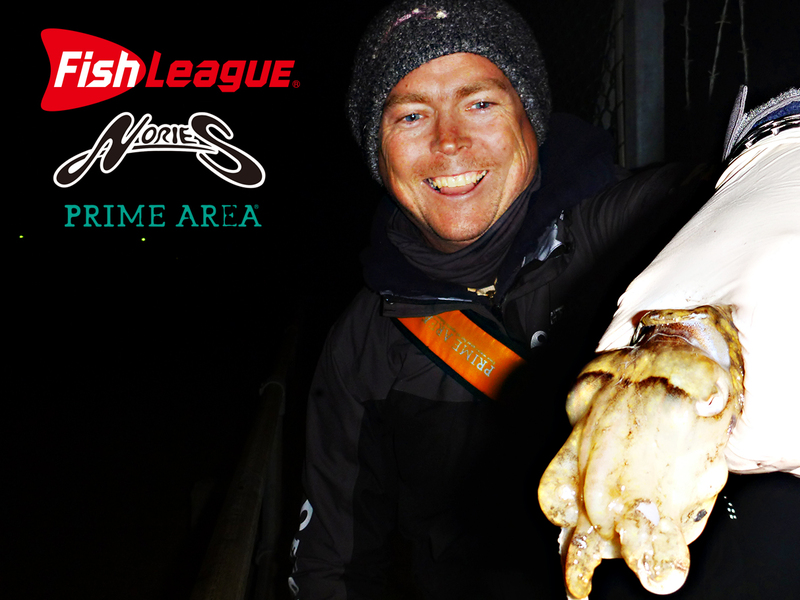 Jo Pointed me over to the fish League Squid jigs he lightest being 10g. 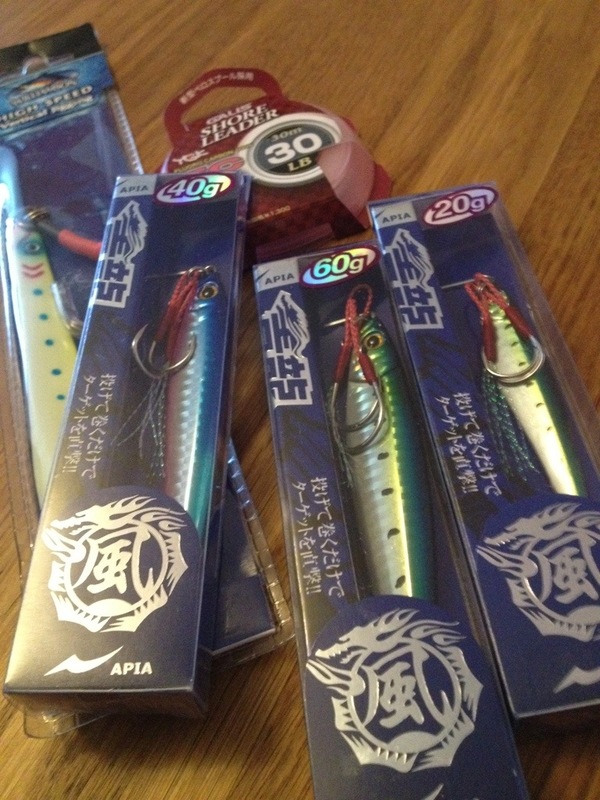 Speaking to some people about squid jigs there seems to be a bit of confession with the info on the box. mine states 2.5 but this is not the casting weight. 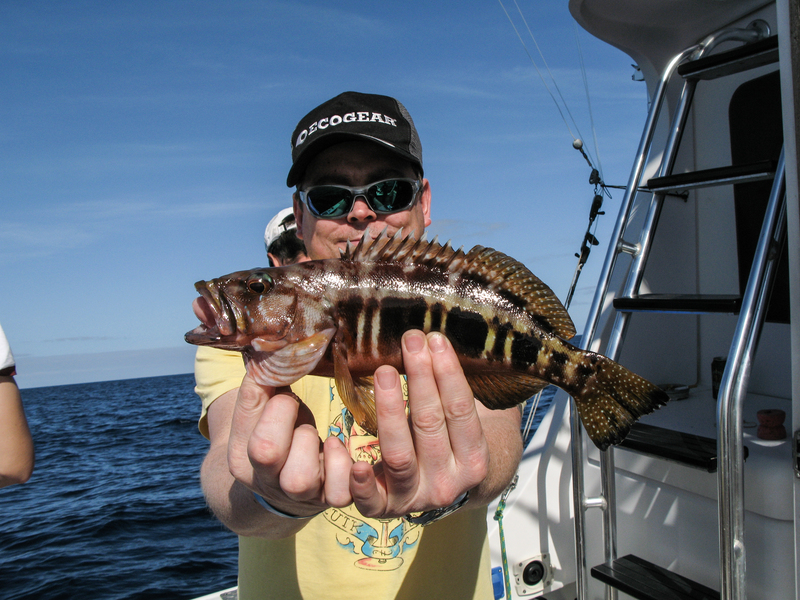 I pulled out the Nories Jighead snapper rock fish bottom, this is a solidtip jigging rod but also doubles up nicely for a LRF rod with a heap of power. 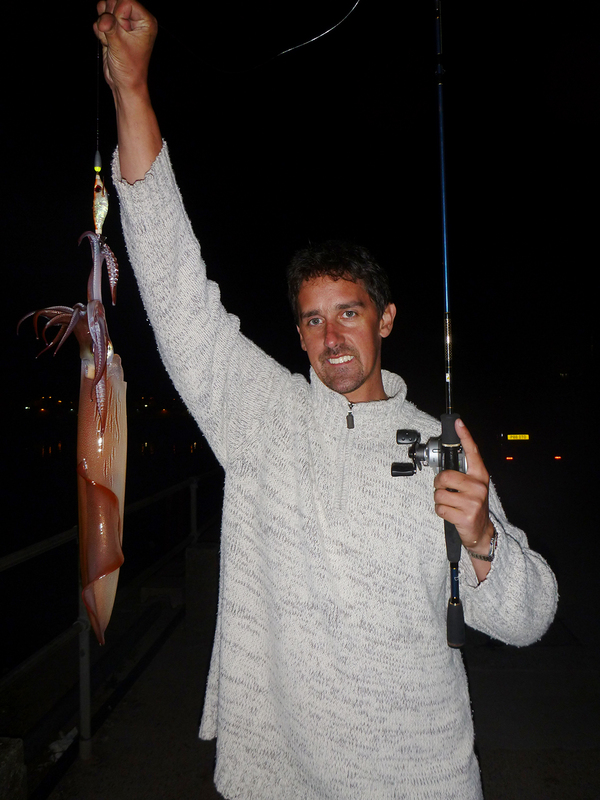 Mike Sullavan was already fishing and landing Squid & cuttle. 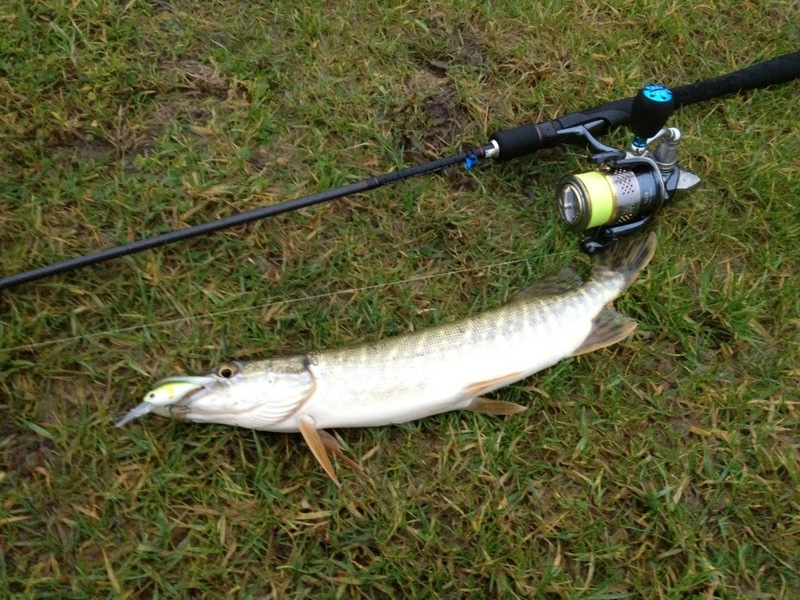 I decided to have a try for wee fish and first cast was rewarded with a decent smelt, second cast a Polock & third cast a Poor cod. The makings of a good night you would think???? sadly it wasn’t. 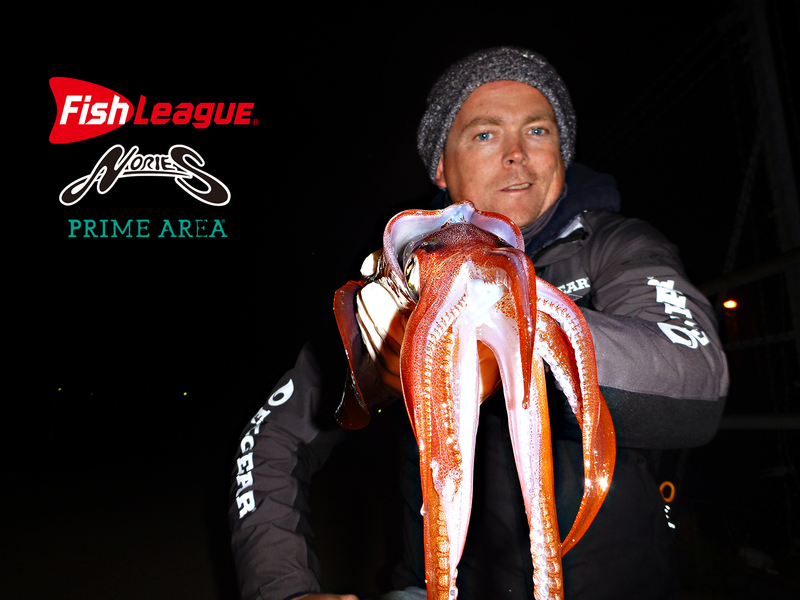 I switched over to my new Fish League jig and the takes began, but could I land them…… meanwhile Mike was swinging the cuttle about like an Olympic sport. 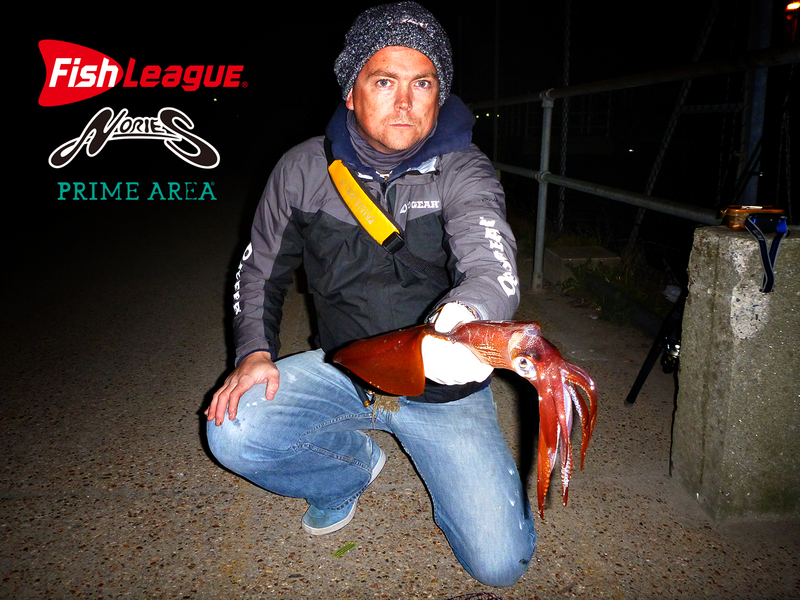 I decided to pull out the Majorcraft L600 six meter telescopic landing net, and with the help of Frankie my first Squid of the year was landed. Big un an all. I eventually caught a cuttlle fish, my first ever! 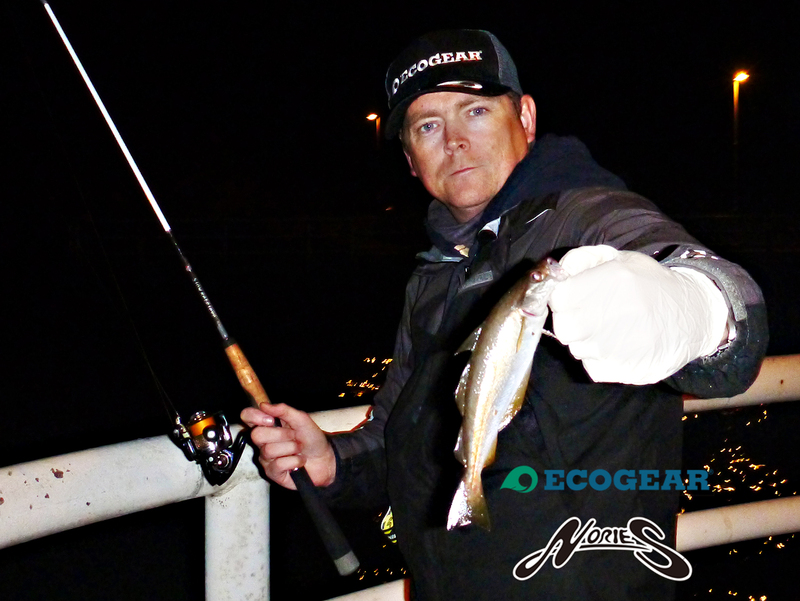 Ecogear Bream prawn is also on the menu for our Harbour Pollock, caught using a Nories slow retrieve 74, Shimano Stella 100fe and Sunline rockfish 0.4 pe braid. 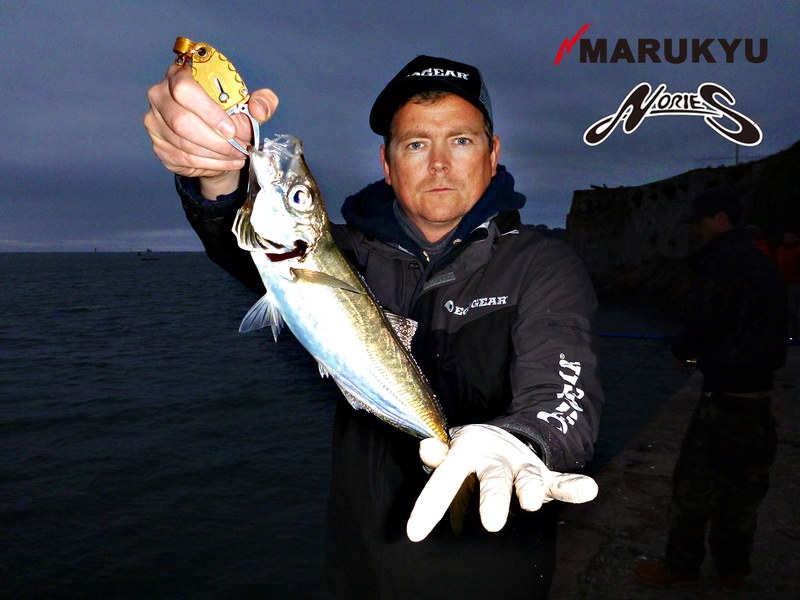 This Fantastically powerful scad was caught using a 0.9g shirasu fine jig head with a small piece of pink Power Isome. 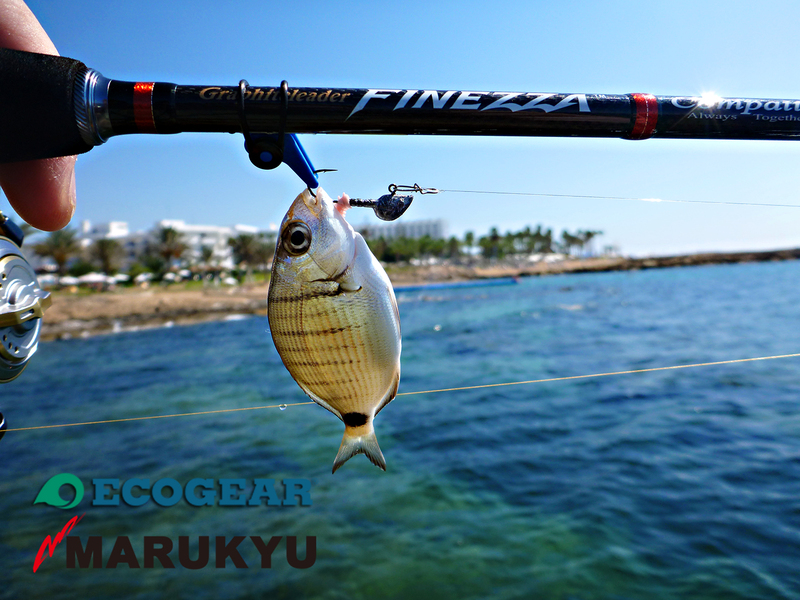 This scad was caught using an ecogear 0.9g shirasu fine jig head with a small piece of pink Power Isome from Marukyu. 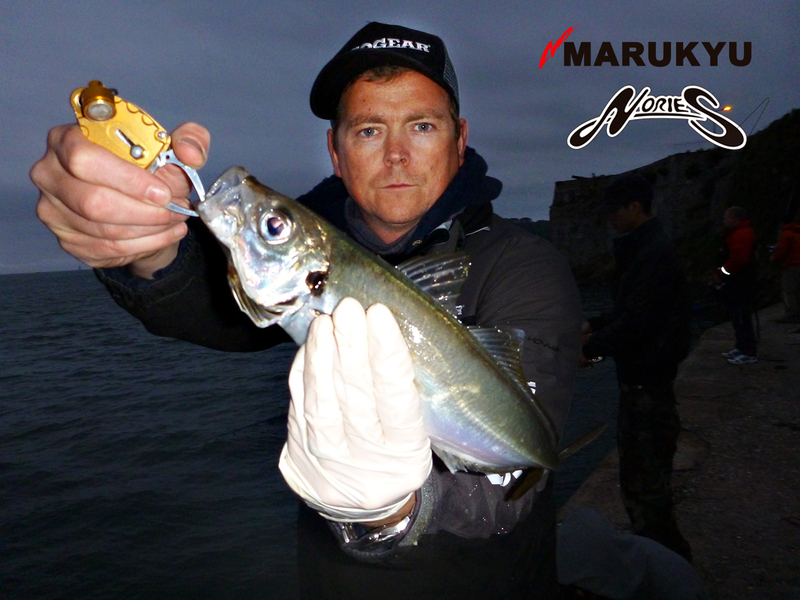 This Mackerel went like stink, my Nories Slow retrieve can bend into a semi circle. caught thanks to the power of the isome in Pink. Had a wonderful night last night, fished a mark known for its weed and lost a far bit of tackle, I don’t like the idea of leaving my junk in the sea. I understand the jigheads eventualy rust away quickly but what happens to all the soft plastics?? 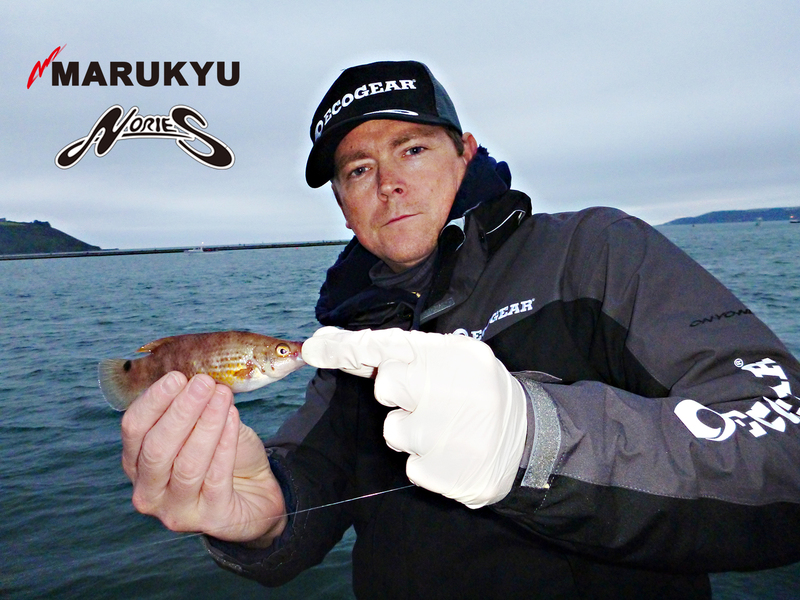 Some of you might know I’m testing some products by Ecogear Aquagear and Marukyu in the form Power Isome. We all know both products catch loads of fish and certainly give us the edge, accounting for most of the fish caught on the LRF shores. Is there more to the ethos of Ecogear / Ecoaquagear? The clue is in the Name. 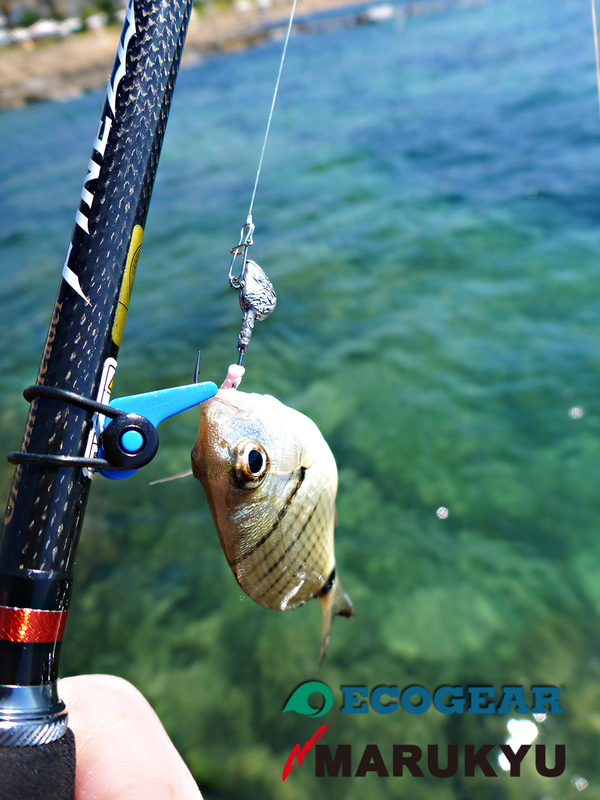 The Ecogear / EcoAquagear products are 100% perfectly Biodegradable ( not just Biodegradable). Some products decompose at faster rates than others. Ecogear products are designed to be fully fledged biodegradable plastics. To cut out all the nitty gritty,Some companies claim to biodegradable, these plastics lose there form and become invisible to our eyes but still exist. by taking extra measures Ecogear products go one step further by entering a cycle of nature! Totally non toxic and friendly to environment.